Spring is in the air and lots of fabulous new blogs have started popping up. Doctor Who fan Tom is going on a journey through time and space and wants you to join him. Check out his blog as he visits some amazing Doctor Who filming locations around the UK. Ashanti shares her opinions on books and movies. She’s part of a blogging family as her sister is also a fashion blogger at Looks Good On U. What a talented family! The amazingly creative and clever Jarvis is up to all sorts of adventures in Minecraft and beyond. This blog covers games, fun and more games. And a little blogger told us that it’s Dr Rainbows Jr’s birthday today – Many Happy Keyboard Returns to you! You don’t have to be a doctor to blog, but it helps. This blogger is into Lego, gaming and the colour green. Great blogging so far, Dr P! Ten year old Felix is originally from South Africa but now lives in Louisiana in the USA and writes a fascinating blog about his life in America. He’s particularly interested in digital media and would like to hear from anyone who’s blogging about similar topics. You’ll be amazed at the talent of six year old Matilda. This is a bilingual English and Swedish blog – how impressive is that?! I would love to be included in a future roundup!! I post funny posts and things I like to do. Thanks for including Project Indigo! I have just looked at all the other blogs as well, they are really cool. This my 5yr old daughters blog please include her in your next round. Good job to all the new ones. Hi all, Would love to be featured in a future roundup. Meanwhile please checkout my blog, of stories, poems and random stuff! Enjoy. My blog is about my two goldfish, and showing people that these aren’t just replaceable pets you just stick in a bowl. Hi! I’m eight years old, and I have been writing a blog as my Taekwondo black belt project. (I’ll be testing for black belt soon!) I’d love for my blog to be included on your next list! My favorite post on my blog are about the Demonstration Team I’m on. I’ve also written about the different life skills we use as black belts. 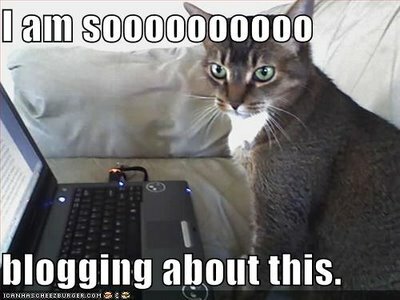 yeah im 11 years and i started blogging right now! just out in the search bar “Kids Blogging” and the kids blog club is what i found! Me too want join this round up. Please include me in too. All these kids blog are worth to read. I love Doctor Who and so do my kids. Incorporating learning into an interesting show like that is wonderful. I would really like for my website to be on kids blog club. I have just made a blog “programming for kids from a kid”. We are blogging about our travels around the country! Age ten(Lillian)and age twelve(Gordon). HI PEEPS LOL! #YOLO SWAG! Hi – I have been blogging for seven weeks now and love it! I was 6 and a half when I started. I would love to be included in your list. Hi cool blog like the cat! I am going to start a blog this one gave me a lot of ideas.